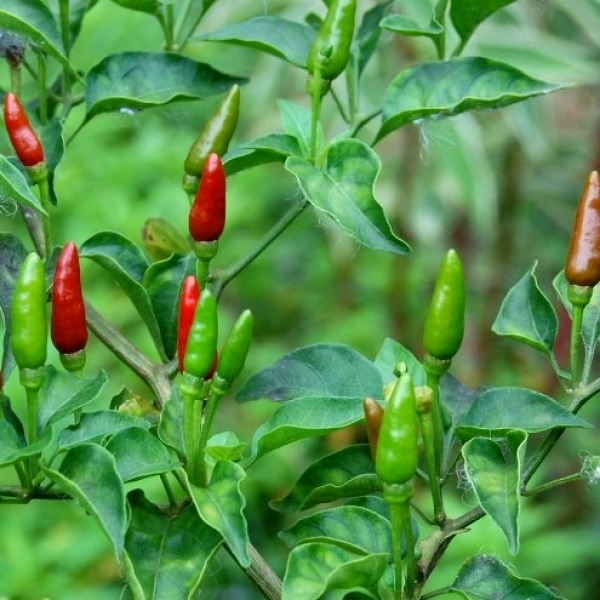 The African Bird's Eye Chili is a close relative of the Tabasco pepper and belongs to the same species Capsicum frutescens. Its origins are probably in Middle America from where it found its way to Africa by the Portuguese merchant ships. It owes its name to wild African birds that love to eat its fruits. With a heat level of around 100 000 Scovilles, they are quite fiery. The peppers ripen in a bright red colour and develop an aromatic clean flavour without the complexity of many other chillies. Their heat is fast and direct. Best used in soups, stews, chicken dishes and hot sauces.